Large monitors used to be only seen in the studios of professional designers. But now giant screens are affordable for us all and giant monitors can now be found on Ebuyer.com at very low prices. 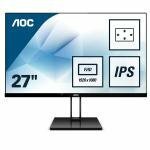 So, why not replace the tired old screen that came bundled with your desktop PC, and treat yourself to the latest large screen monitor? The prices may have dropped but the quality and performance of large screen monitors has continued to rise. High Definition LED LCD displays, lightning response rates and added extras are now the norm. And manufacturers such as LG, Philips and Samsung and many others are producing some great monitors that are perfect for work, study and leisure. 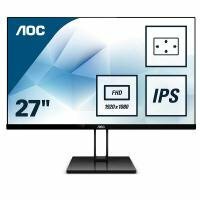 Whether you are looking for large 27" monitors or massive 65" screens you find them here on Ebuyer.com. It has to be said that movies and games look phenomenal on a big screen but they are also great for working on of course. Though it has to be said a spreadsheet doesn't have the same visual impact as a 3D game. Many of these large monitors can be mounted on a wall which not only saves space but also allows content to be displayed in public areas. 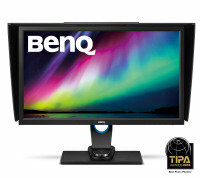 Depending on the monitor it is likely to have different interfaces including VGA, DVI and HDMI ports. Many larger monitors will also have integrated speakers and height-adjustable stands.